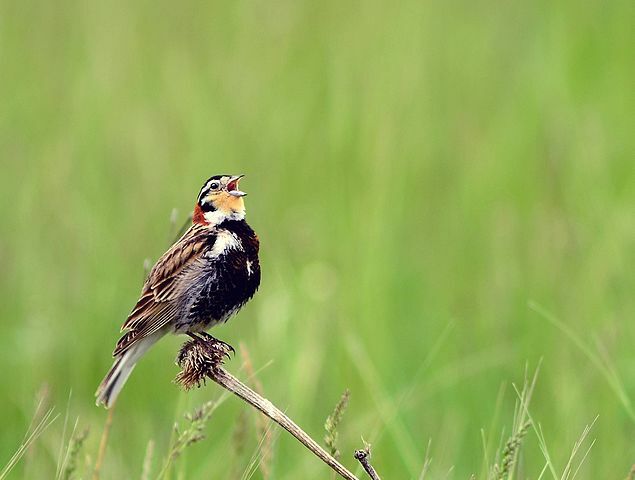 Four species of birds have been particularly hard hit by this habitat loss: McCown’s Longspur, Chestnut-collared Longspur, Lark Bunting, and Sprague’s Pipit. The first three of these species breed in northeast Colorado at the Pawnee National Grasslands which is one of our favorite birding tour destinations. The Pawnee Grasslands have been described as probably the most important remaining examples of short-grass prairie in the West. You can see the original WWF press release here and the full report here. Photo courtesy USFWS. Read about our Pawnee National Grasslands tour.